On 1 August 2008, 18 climbers from across the world reached the summit of K2, the world’s second highest and most dangerous mountain - a peak which claims the life of one in every four climbers who attempt it. Over the course of 28 hours the mountain had exacted a deadly toll: 11 lives were lost a series of catastrophic accidents. 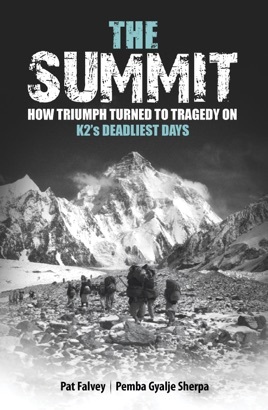 Based on the eye-witness accounts of the climbers who were there, The Summit: How Triumph Turned To Tragedy On K2’s Deadliest Days offers the most comprehensive account of one of the most terrible tragedies in modern-day mountaineering.